In December 2011 7th Harlow Scout Hut at Manor Hatch was subjected to an arson attack with Fire crews who attended the scene unable to save the single storey building or any of its contents. As an ex-scout Mark knows how much a scout hut means to its group and volunteered our time to design a new hut to replace the one lost. This new hut is bigger and better than the old 1970s building and gives 7th Harlow a fantastic base from which to continue to serve the youth of Harlow for the next 30 years and more. 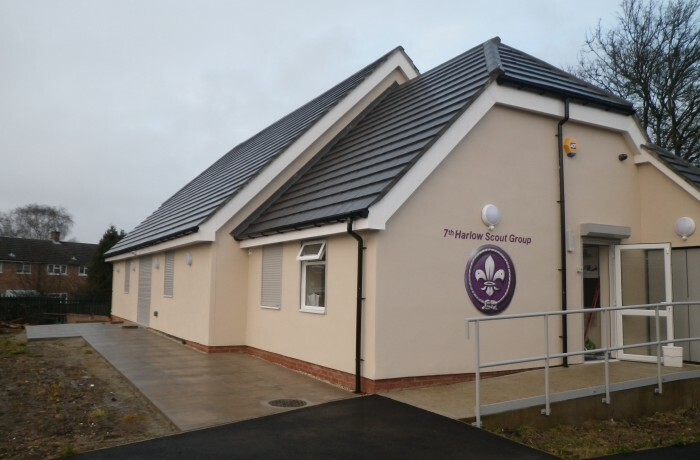 The building was substantially funded by the fundraising efforts of those associated with the Scout Group (who raised over £70,000) and, finally, on 23rd May 2015 the building was formally opened by those very same fire fighters who had tried, in vain, to save the old building.